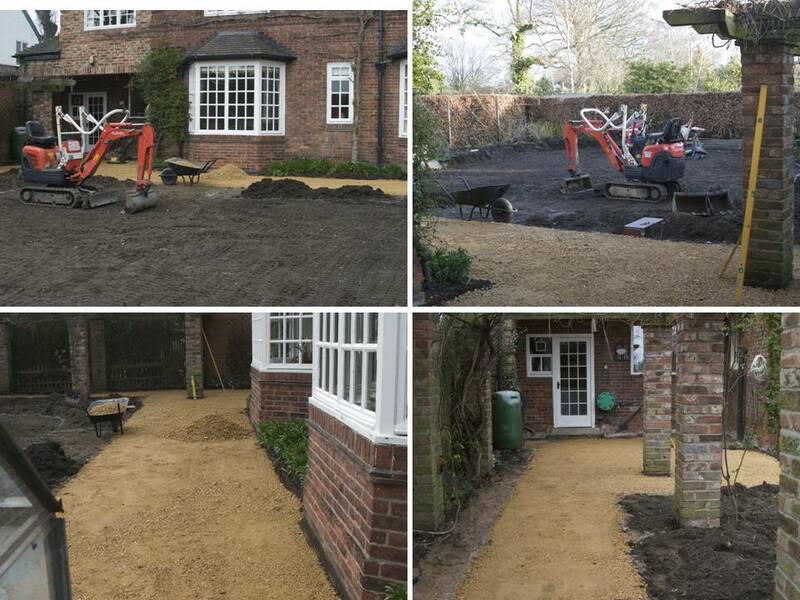 I had a couple of emails from the clients I worked with in Leeds last week with the first pictures of their new garden in its creation. It’s been a little while since I went up to visit them for one of my Designer In Your Home sessions, but work has finally started and the landscaper and digger moved in last Monday to get cracking. What I love about this project is that I was able to help my client to see the potential of their garden and they have taken everything on board and are really excited about working with their landscaper to bring the garden to life. When we spent the day together back in the Autumn, we created the new design together so that it incorporated all the things they loved about their existing garden and elevated them to the next level. The brick pergola for example was already gorgeous but the areas around it needed some reconfiguration that will make it a real feature that they will use and admire. The build phase has only just started, but look how lifting the paving from around the brick pillars has brought the whole pergola to life. The new sub-base has been laid and already you get a real sense of how it’s going to look when the new pathway has been finished and there’s planting either side. 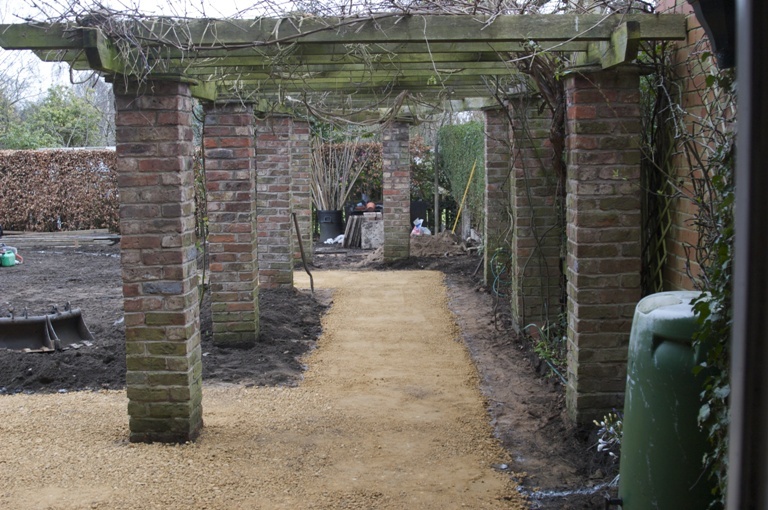 There was no reason to walk underneath the pergola before so this change will make quite a dramatic impact on the way they move through the garden. As you can see, access was quite tight at the side of the house but the landscaper still managed to get a mini-digger round to speed things up. 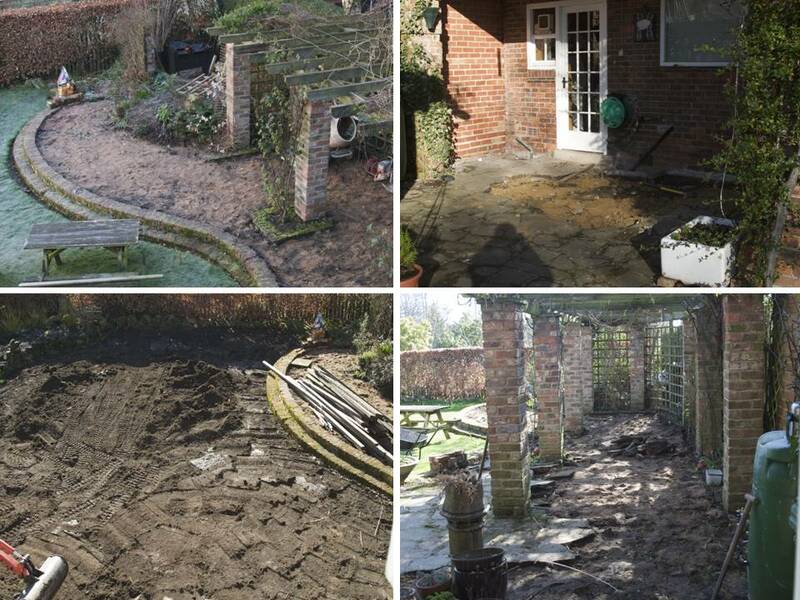 The lawn has been scraped off and the paving has been lifted. 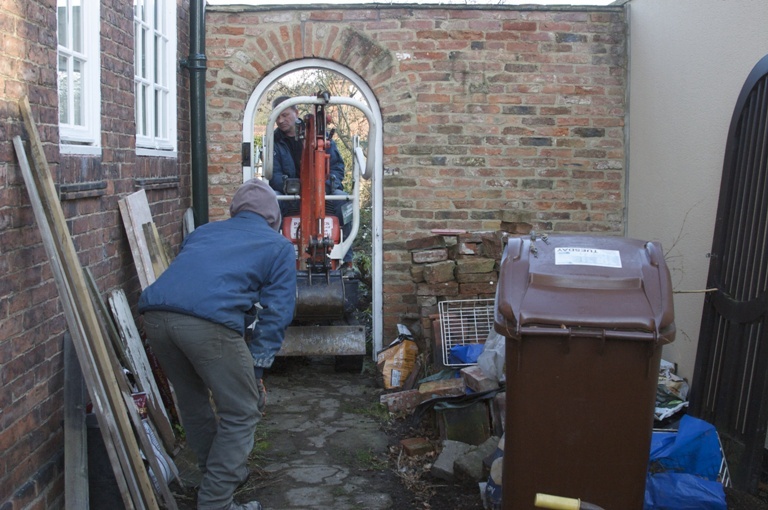 I love the first bit when the old tired elements are removed and cleared…it creates the blank canvass on which the new garden will start to evolve. I’m so looking forward to seeing the next photographic installments – it’s a bit too far to pop round and take a look!